Sevenoaks Suns remain unbeaten and on top of the standings thanks to a routine win over Newcastle Eagles. Sevenoaks Suns returned to league action with a comfortable 73-40 victory over Newcastle Eagles, at Sevenoaks School Sports Centre. The Suns remain unbeaten and retain their spot at top of the standings, having extended their winning streak to seven games. Despite defeat, Newcastle hold on to sixth position in the table and still have a game in hand on the teams immediately around them. Turning point – Sevenoaks came out of the blocks with purpose, racing out to a 17-6 advantage and holding Newcastle to just two made field goals in the first quarter. Key stat – The visitors shot just 25% from the field as Sevenoaks held Newcastle to 10 points or less in three of the game’s four quarters. Game hero(es) – Janice Monakana provided a key spark off the bench, scoring a game-high 19 points on just 11 shots. 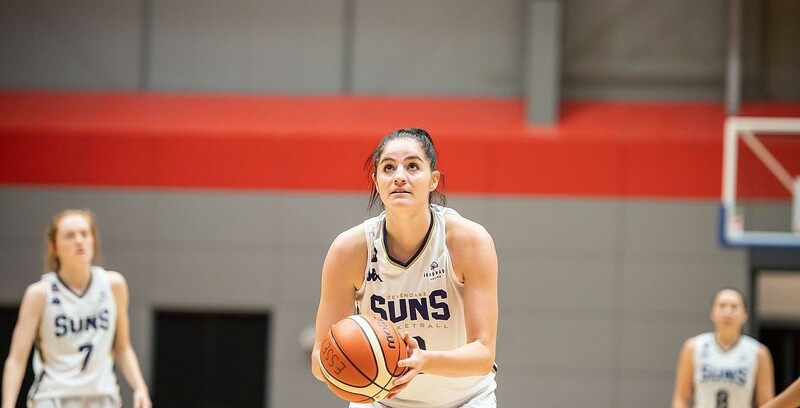 Cat Carr also shone for the Suns, adding 13 points and nine assists.